On my last check we were supposed to be loving any mask including seaweed or charcoal because of the ‘qualities’ they possess but from my experiences they just do not seem to live up to the expectations in terms of results. Despite disappointments I am as always willing to push previous experiences aside to try new things… was it worth it this time though? In a simple word the answer is no. This product had a bit of a pong to it, nothing unusual, reminding me of a lot of seaweed products combined with an incredible amount of chemicals. But the product is about the performance on the face rather than the scent kick so again this was something I was trying to look beyond. It was incredibly runny and this is not just something that I had issues with. When I popped a photo onto Instagram comments and direct messages came in from others saying they too had found this to be a runny product that was impossible to control and that it just seemed to struggle when it came to the drying phase. By the time I had got to having the product all over my face it was running down my arm and half way down my neck hardly the nice relaxing experience I am used to when it comes to doing a face mask; top tip here is to use this (not that I would recommend using it at all) before having a bath or shower! After waiting what was more like 45 minutes for this to dry to a point where I could take most of it of with the peeling method, yes huge chunks still needed the face cloth to come out, it did not seem to do anything noticeable to the skin. My pores looked just as clogged, if not more clogged from the black gunge that refused to set on my face, and it felt like there was a film of the product still on my skin that left me standing at the face using several of my cleansers to feel in any way clean and comfortable with my face (something I should have just done in the first place to save time and avoid getting into some huge mess!). I am usually a big fan of Superdrug face masks, especially the peel off fruity ones, but this really left me questioning the people behind the decision making process to let such a messy and poorly performing product make it from the designing stage onto the shelves for general sale! Instead I would suggest the Manuka Honey face mask that is a little runny but sets well and really does what it claims to do on the packaging! 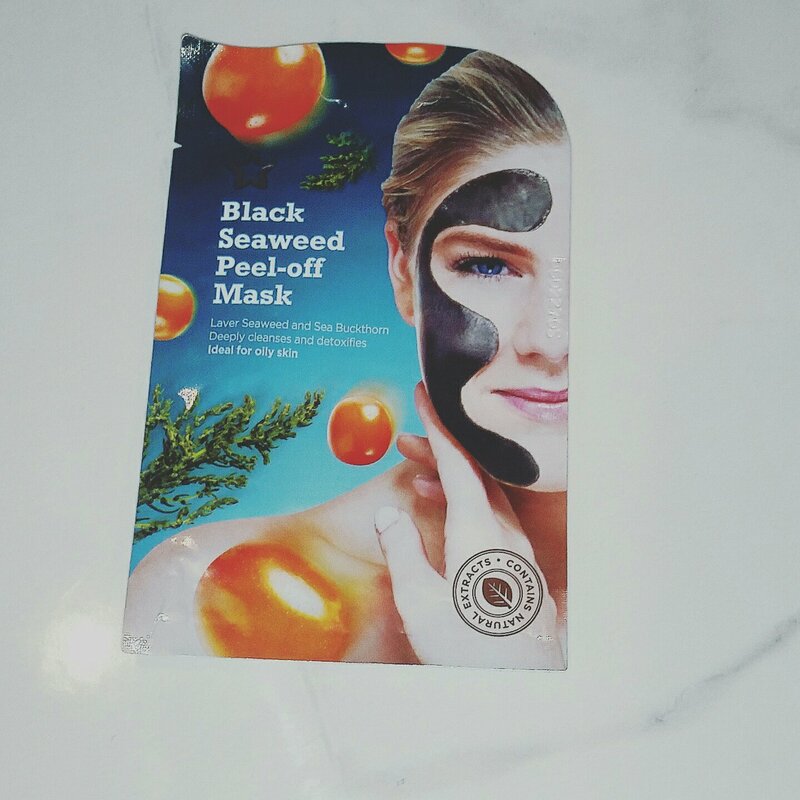 This entry was posted in Beauty, Skincare and tagged Beauty, beauty blog, beauty blogger, beauty bloggers, beauty review, drugstore, face, face mask, high street, honest thoughts, lblog, lblogger, lbloggers, life, Lifestyle, lifestyle blog, lifestyle blogger, lifestyle bloggers, messy, product review, seaweed, seaweed face mask, superdrug. Bookmark the permalink.